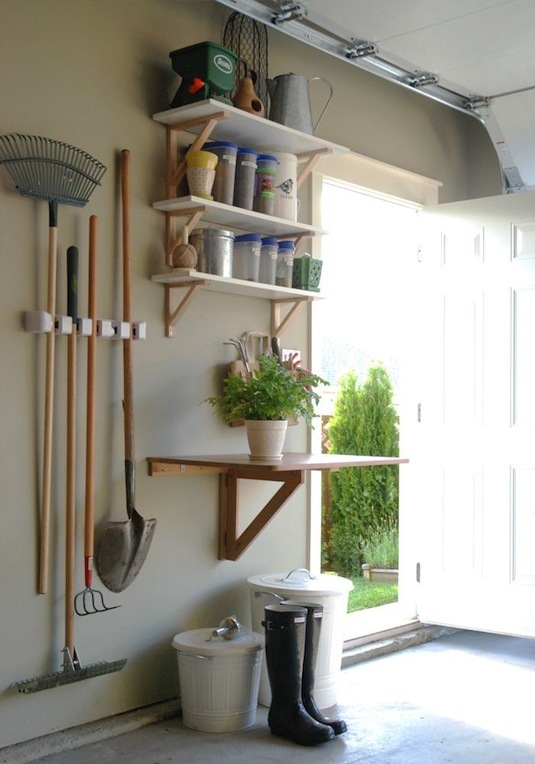 It makes sense to have separate zones in the garage, but I especially like this idea for the garden. Mostly because I’m the only one working in the garden (most of the time), while the power tools are my husband’s department. It would be nice to have your own organized space! Use scrap wood to create an upright storage corral, and create separate compartments with plywood slats. 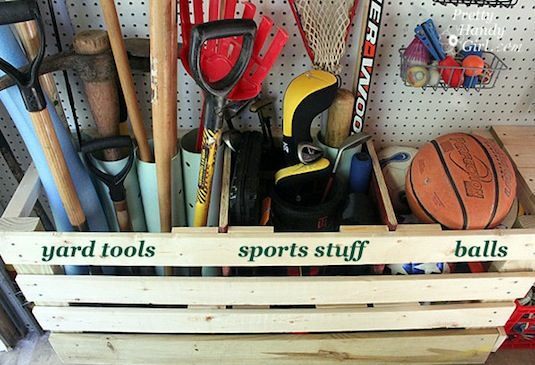 This takes up a lot less space than having all of those tools and sports equipment hung on the wall. Get more details about this project here.